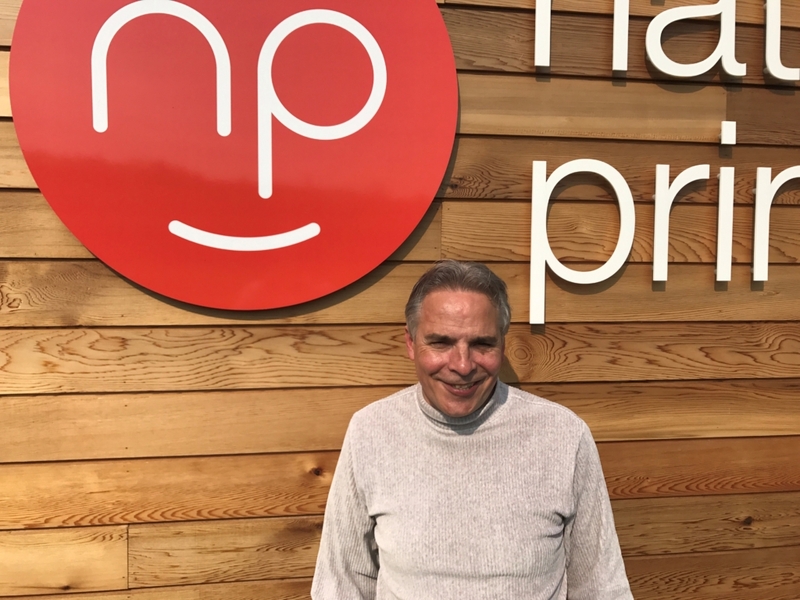 Digital printing is helping smaller businesses compete with the big boys… Here at Nationwide Print we work with companies of all sizes – from Cornwall-based SMEs to international giants like Armani. Digital printing means that smaller jobs are more affordable and can be turned around very quickly, and next-generation finishing techniques are perfect for creating bespoke marketing materials to help small businesses stand out from the crowd. Access to good design (and we have plenty of great designers here in Cornwall) and professional printing can be a great leveller. We are always trying to make things easier for our clients… I regularly have production meetings with larger clients; good communication helps to ensure that their campaigns run smoothly. I enjoy working closely with clients and designers to make sure we get the best results on each project. We are also about to introduce a new online ordering platform, which will make commissioning print – especially for businesses with multiple sites – much easier. Here at Nationwide Print we believe in solving problems, not creating them! My son recently joined me at Nationwide Print… He is gaining experience in several different aspects of the business, including production and estimating. I firmly believe that the industry has a lot to offer young people, with diverse career opportunities and exciting pathways emerging thanks to new technology. Despite the power of digital marketing, people still want something beautiful to hold – a heavy-weight business card, a luxury spa brochure, or a perfect-bound annual review for example – which is why print hasn’t disappeared, but evolved!